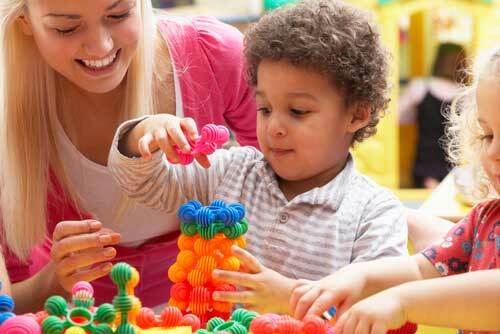 Playtime for children is not only fun but essential to help generate a rapidly developing brain. Jean Piaget, a Swiss psychologist, stated that children actively acquire knowledge through interacting with their physical environment. Because the ADHD child has problems with inattention, hyperactivity and impulsivity, learning can be a challenge both for the parents and the teacher. Providing a structured playtime both within and outside the classroom can benefit the child with attention span issues and provide successful results. As a parent I made sure that my two children were actively involved with creative play at home with toys and games that allowed them to use their imaginations. A drawer became a boat for my 3 year old son and small toy people were my 5 year old daughter’s guests for tea. 2) A typical lesson is one large block of time but incorporating games etc will play to their strengths and help with focus. 3) Structured games during recess, making the choice for them, decreases behavior issues. These areas were especially beneficial for kids who had limited focus. Blocks became imaginary castles where a prince or princess could reign. Games with friends helped with following directions and social skills. Art and music were always my favorite activities because it is a wonderful outlet for expressing feelings and help a child to find his inner artist. Cooking if the school has access to a kitchen is also a fun place to help follow directions and bring home ideas to “play” with their family at home during mealtimes. Re-creation makes us new again. The memory of playful experiences can reduce stress and provide comfort and reassurance. It is only when we integrate play, love and work that we as children and adults can live a happy, healthy and productive lives.